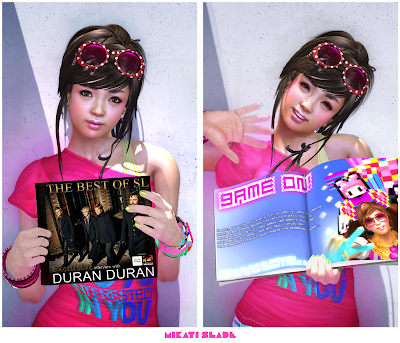 The Best of Second Life (BOSL) -- a top magazine about Virtual World -- has a 10-page feature on Mikati's art called "GAME ON! - Japanese Art Goes POP" (page 144-153). Great design, text and pictures. Also, this issue have exclusive interview with Duran Duran. Everyone must check it!